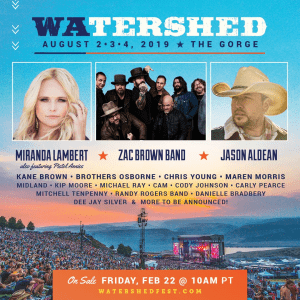 One of the most anticipated lineup announcements of the festival season, the Watershed Music and Camping Festival revealed that superstars MIRANDA LAMBERT, ZAC BROWN BAND & JASON ALDEAN would lead this year’s lineup at The Gorge, WA on August 2-4 Spotlighted by Entertainment Weekly, Nash Country Daily, and Rolling Stone as a “must-see” festival, Watershed takes place at indisputably the most heart-stopping music venue in the world, boasting an incredible sun-drenched backdrop, with passes to the festival often selling out in minutes. Passes will go on sale this year starting Feb. 22 at 10am PT at watershedfest.com. 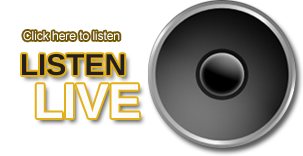 Listen to K102 Country for a chance to win FREE TICKETS! 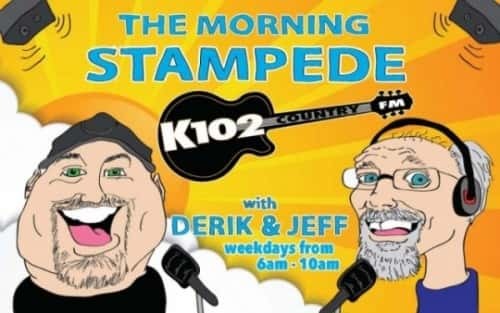 Known for showcasing the full landscape of the country music genre, it was also announced today that KANE BROWN, BROTHERS OSBORNE, CHRIS YOUNG, MAREN MORRIS, MIDLAND, KIP MOORE, MICHAEL RAY, CAM, CODY JOHNSON, CARLY PEARCE, MITCHELL TENPENNY, DANIELLE BRADBERY, RANDY ROGERS BAND AND DEE JAY SILVER will take to the coveted stage this year, with more to be announced in the coming weeks. 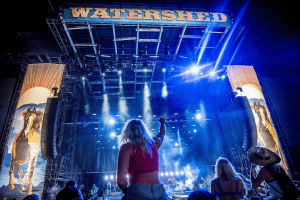 An amalgamation of offering a heavy-hitting, eclectic lineup that includes the genre’s hottest emerging acts, as well as an unrivaled setting and awesome backstage vibe, have all led to Watershed’s rise to “bucket-list” status in just five short years. The festival’s fans (otherwise known as ‘Shedders) have also been instrumental, embracing the full experience of “Watershed” with homemade campground activities including giant slip n’ slides, monster beer pong competitions, dunk tanks, and themed campsites. Fans can enhance this year’s festivities with the introduction of the Watershed VIP Club, offering priority access to enter the festival, amusement rides, and the scenic onsite cliffhouse, as well as exclusive entry to the elevated Sunset Deck, offering unrivaled views of the stage and surroundings. Campers can also indulge by upgrading camping to The Gorge Oasis.